Nontron is a town of 3,638 inhabitants situated in the historic area of Périgord in France. The Mayor’s office (La Mairie) needed to modernise its voice platform to cope with a growing volume of calls. The Mayor selected the Opera Flexicom Communications platform which is marketed is France as the tiptel 6000 business system. Customer Service is a priority and the integrated Advanced Auto-Attendant option of the Opera Flexicom allows callers to route their calls quickly to the desired service department. The office is equipped with 11 Operafone Executive telephones each with 4 line backlit display screens, 16 programmable keys and voicemail. 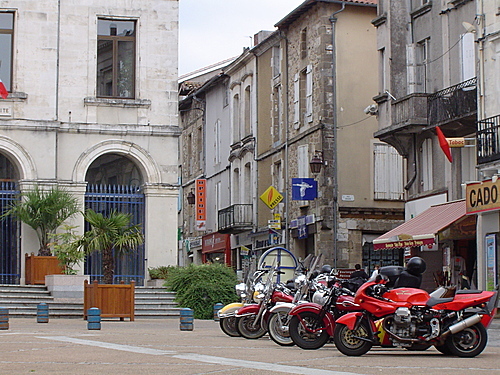 The Opera system is managed remotely by the system installer DMC of Périgueux. This means that the mayor’s office can receive automatic software upgrades to their system without onsite intervention.